 Lung cancer may also be the most tragic cancer because in most cases, it might have been prevented, 87% of lung cancer cases are caused by smoking. Lung cancer has long been the most common cause of cancer death in men and since 1987 it has also become the most common cause of cancer death in women. Lung cancer is the second most commonly occurring form of cancer in most western countries and although the lung cancer incidence is less common in developing countries, the rapid increase in the popularity of smoking will see the number of lung cancer sufferers in those countries quickly catch up with the western world. 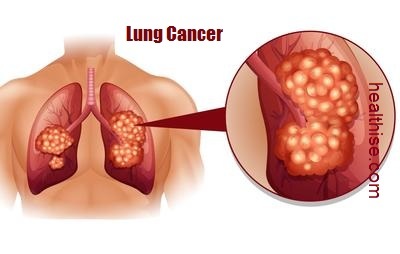 Lung cancers can arise in any part of the lung, and 90%-95% of cancers of the lung are thought to arise from the epithelial, or lining cells of the larger and smaller airways (bronchi and bronchioles); for this reason, lung cancers are sometimes called bronchogenic carcinomas or bronchogenic cancers. The most common type of lung cancers are epidermoid carcinoma, small cell carcinoma, adenocarcinoma and large cell carcinoma. Most experts agree that lung cancer is attributable to inhalation of carcinogenic pollutants by a susceptible host. Who is most susceptible? Any smoker over the age of 40, especially if they began smoking before the age of 15, have smoked 20 or more for 20 years, or worked with or near asbestos. Two other factors also increase susceptibility: exposure to carcinogenic industrial and air pollutants (asbestos, uranium, arsenic, nickel, iron oxides, chromium, radio active dust, and coal dust.) and familial susceptibility. Because early lung cancer usually produces no symptoms, the disease is often in an advanced stage when first diagnosed. Late stage signs are: with epidermoid and small cell carcinoma; smokers cough, hoarseness, wheezing, dyspnea, hemoptysis and chest pain. With adenocarcinoma and large cell carcinoma; fever, weakness, weight loss, anorexia and shoulder pain. In addition, hormone production which regulates various body functions may also be affected. Firm diagnosis requires chest x rays, sputum cytology, CT scanning, bronchoscopy the examination of pleural fluid and biopsies. Other tests to detect metastasis include bone scans, bone marrow biopsy and CT scans of the brain and abdomen. Lung cancer most often spreads to the liver, the adrenal glands, the bones, and the brain. Lung cancer that has metastasized to the bone causes bone pain, usually in the backbone (vertebrae), the thighbones, and the ribs. Lung cancer that spreads to the brain can cause difficulties with vision and weakness on one side of the body. Lung cancer may grow into certain nerves in the neck, causing a droopy eyelid, small pupil, sunken eye, and reduced perspiration on one side of the face; together these symptoms are called Horner’s syndrome (see Autonomic Nervous System Disorders: Horner’s Syndrome). Lung cancer may grow directly into the esophagus, or it may grow near it and put pressure on it, leading to difficulty in swallowing. Lung cancer may also spread through the bloodstream to the liver, brain, adrenal glands, spinal cord, and bone. Treatment for lung cancer depends on the cancer’s specific cell type, how far it has spread, and the patient’s performance status. 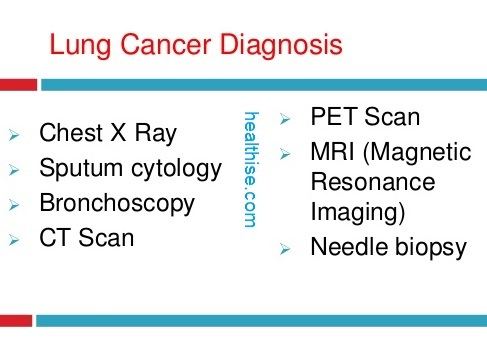 If investigations confirm lung cancer, CT scan and often positron emission tomography (PET) are used to determine whether the disease is localised and amenable to surgery or whether it has spread to the point where it cannot be cured surgically. Treatment is usually a combination of surgery, chemotherapy and radiation therapy. Surgery is usually the first option. Chemotherapy can be used as a first line treatment for lung cancer or as additional treatment after surgery. Radiation therapy can be directed at your lung cancer from outside your body (external beam radiation) or it can be put inside needles, seeds or catheters and placed inside your body near the cancer (brachytherapy). Radiation therapy can be used alone or along with other lung cancer treatments. Radiation therapy can also be used to lessen side effects of lung cancer. Treatment may not be as effective for patients with bone or liver metastases from lung cancer, excessive weight loss, ongoing cigarette use, or pre-existing medical conditions such as heart disease or emphysema. At some point, if you and your oncologist or primary care physician agree that treatment no longer is advisable, hospice care can provide comfort.